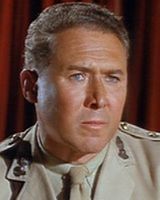 Most people know of actor Anthony Quayle from his famous roles in films like ‘The Guns of Navarone’ and ‘Lawrence of Arabia’ but he was also an Intelligence Officer in the British Resistance. 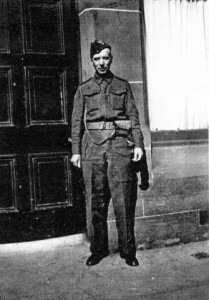 Quayle was the second Intelligence Officer for the Northumberland Auxiliary Units and due to his pre and post war acting their most famous member. We have just added the Duddo Auxiliary Unit to the site. This patrol was based just north of Etal in Northumberland. Thanks to Colin Hunter and Stephen Lewins (CART CIO for Northumberland) for the report. Today we have added a report by Stephen Lewins our CIO for Northumberland. 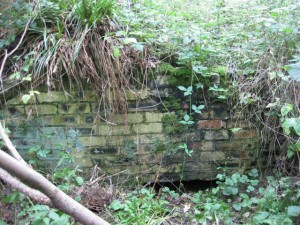 The Stobswood patrol also known as “The Death or Glory Boys” were based near Widdrington Station and Stobswood, two mining villages in the south east of Northumberland. Stephen Lewins, our CIO for Northumberland, has sent us a report on the Netherwhitton Auxiliary Unit Patrol. 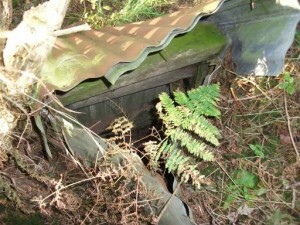 Sadly the Operational Base is no longer standing but he has managed to find out other info on the partrol. We have just added a patrol report by our CIO Stephen Lewins on the Dunbar Auxiliary Unit Patrol in Scotland. The patrol was set up in mid 1941 by Major Forbes (one of twenty patrols he set up). It was part of 201Bn. GHQ Home Guard Auxiliary Units, No. 4 Area The Scottish Borders. Stephen Lewins, our CIO for Northumberland has just sent us a report on the Longhorsley Special Duties Out Station in Northumberland. The radio operators were Mr Charles Webb, a solicitor and the Reverant Father Wright (left) who was also the Air Raid Warden, a good choice for cover as this gave him access to many places in the village and round about at times when others were in doors, no questions asked. Just added info from our Northumberland CIO, Stephen Lewins on the East Cramlington/Hartford Auxiliary Unit patrol. Today we updated a page on Choppington Patrol in Northumberland. Stephen Lewins, our CIO for Northumberland, has found the Operational Base and submits a report including photos, video and maps. It is with sadness that Stephen Lewins (CIO for Northumberland) has to report the death of Frank Stamp of Watch Hill, Whalton, Northumberland. He died on November 2nd. 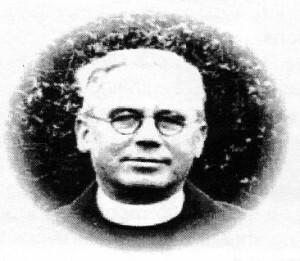 Frank was 90 years old and leaves a wife Mary. Frank was not on the Nominal list for Northumberland but was an Auxilier. Stephen never found out which patrol though he suspects the Ogle Patrol as it was the nearest to his farm. It could have been the Hebron Patrol as he was friends with another former Auxilier W.A.Mitchell of Morpeth (Hebron Patrol). Frank enlisted in 1939 and was a member of the Middlesex Machine Gun Reg. He was a powerful man even in old age. During his training a leg injury prevented over seas postings so he was put on the Reserve List. Returning to farming in Northumberland he was recruited to Anthony Quayle`s secret army. 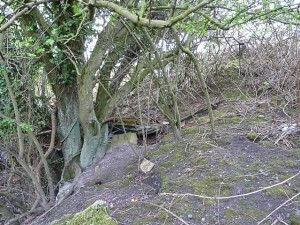 Demolition was has field, The River Wansbeck bridges were to be his targets. He continued farming until he was 73. The Joiners Arms pub in Morpeth was his haunt on Wednesdays while the wife did the shopping. Due to him signing the Official Secrets Act he would not talk about his wartime exploits, even three years ago when a book was written about The Joiners Arms pub he would not tell anymore than what we have listed above. An Auxilier who took his secrets to the grave but we know what he was prepared to give up for us.